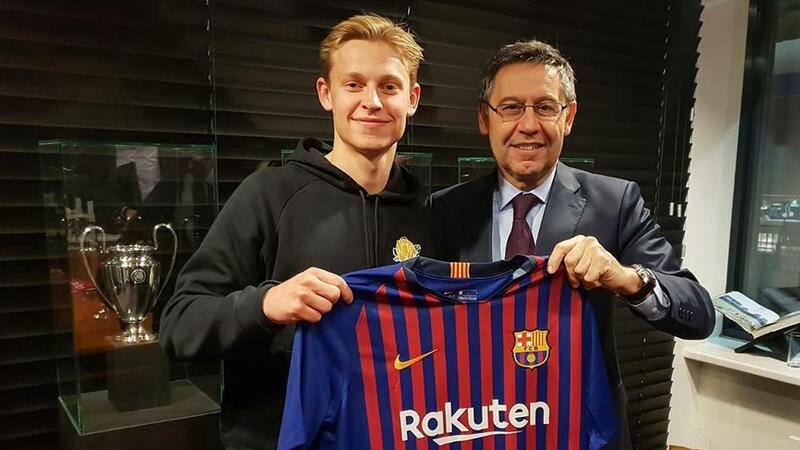 Barcelona has announced the signing of Frenkie de Jong for an initial €75 million (NZ$127 million), the Ajax midfielder set to join on a five-year deal for the start of the 2019-2020 season. The 21-year-old Dutchman has become one of the most sought after players in Europe since becoming a regular starter for Ajax in the past 18 months, with both Manchester City and Paris Saint-Germain rumoured to have been interested in securing his services. "Right footed and strong in the one-on-one, Frenkie de Jong can play either as a defensive or attacking midfielder. His wonderful vision and natural ability to find the right pass mean he is the perfect choice as a central playmaker," a statement on the Barcelona website read. De Jong is expected to become one of the club's highest-paid young players, and joins Kevin-Prince Boateng and Jeison Murillo as a new face at the club.